*Note: Most promotional prices cannot be combined with promotional prices for other services. The regular rate for this service may apply if another promotional service is added to your cart. 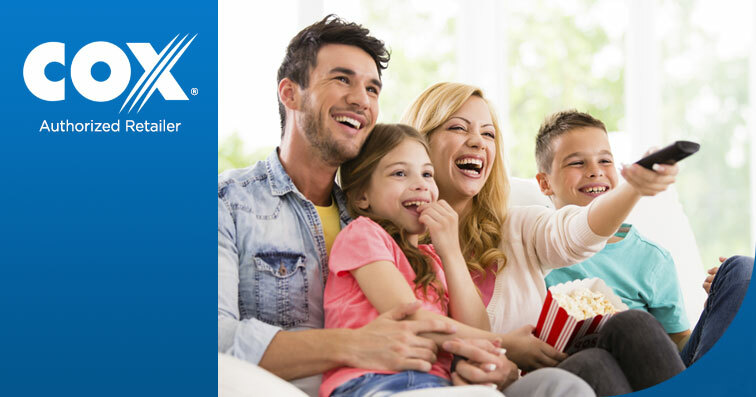 Offer expires 7/7/2018 and is available to new residential Cox Internet customers in Cox service areas. Offer is only available for new subscriptions to Internet Essential 30 service. After promotion period, regular rates apply. See www.cox.com for current rates. Prices exclude installation/activation fees, equipment fees, inside wiring fees, additional outlets, taxes, surcharges and other fees. Internet speeds not guaranteed; actual speeds vary. See www.cox.com/internetdisclosures for complete Cox Internet Disclosures. A credit check and/or deposit may be required. Offer may not be combined with other offers. Online orders only. Other restrictions may apply. *Note: Most promotional prices cannot be combined with promotional prices for other services. The regular rate for this service may apply if another promotional service is added to your cart. Offer expires 3/26/2018 and is available to new residential Cox Internet customers in Cox service areas. Offer is only available for new subscriptions to Internet Essential 30 service. After promotion period, regular rates apply. See www.cox.com for current rates. Prices exclude installation/activation fees, equipment fees, inside wiring fees, additional outlets, taxes, surcharges and other fees. Internet speeds not guaranteed; actual speeds vary. See www.cox.com/internetdisclosures for complete Cox Internet Disclosures. A credit check and/or deposit may be required. Offer may not be combined with other offers. Online orders only. Other restrictions may apply. Data usage in excess of plan may result in a $10 charge for up to 50 GB of additional data and for each additional 50 GB block. Unused data does not roll over. See cox.com/datausage for complete details.